A solution of synthetic rubber and resin in flammable solvent. Primarily used to secure PVC and rubber coving and skirting. The adhesive is applied to both surfaces by spreader or brush and combines quick drying with a 30 minute open time. It is suitable for use over normal underfloor heating installations and will withstand normal wet cleaning techniques. 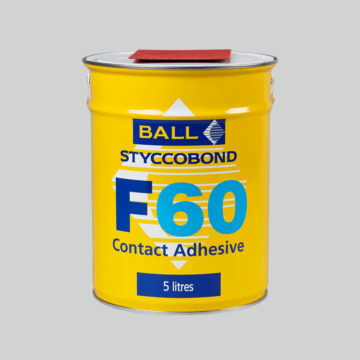 The formation of an ‘instant bond’ makes it particularly suitable for securing floorcoverings and specific wallcoverings vertically on stairs and walls.